Collaboration between Virco and Newport News Public Schools creates distinctive STEM environments for Elementary and Middle school students. When Newport News Public Schools decided to repurpose existing, under-utilized space in its Elementary and Middle schools, its vision was clear. With its mission to prepare every student to be uniquely qualified for higher learning environments and pursue STEM careers, the schools needed dedicated spaces to help students prepare for success in science, technology, engineering and mathematics. The schools’ goal to transform these static spaces into dynamic 21st Century learning environments was the first step in implementing an ambitious STEM education initiative. Virco PlanSCAPE helped the schools turn their vision into reality. 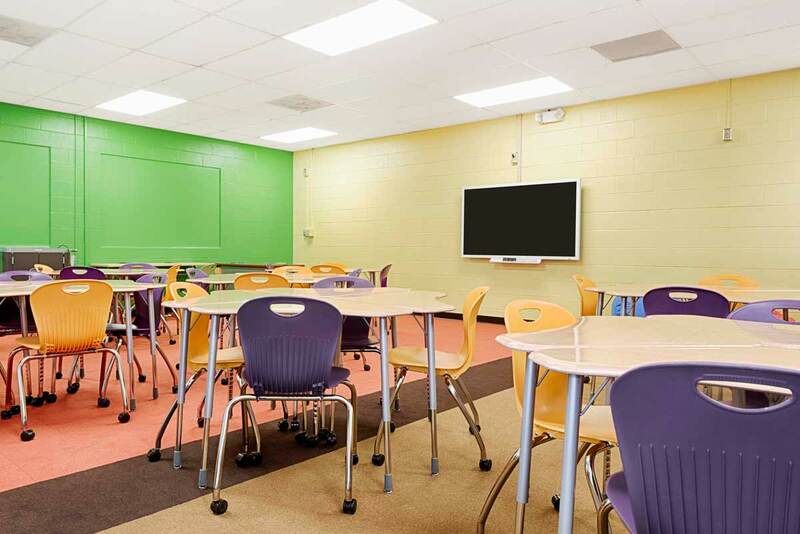 Despite the fact that these spaces spanned across two different schools and were equipped with very specific technology, each room had the same dimensions. In addition to dealing with predefined spaces and technology, the schools were limited in terms of budget through the use of specified grants. 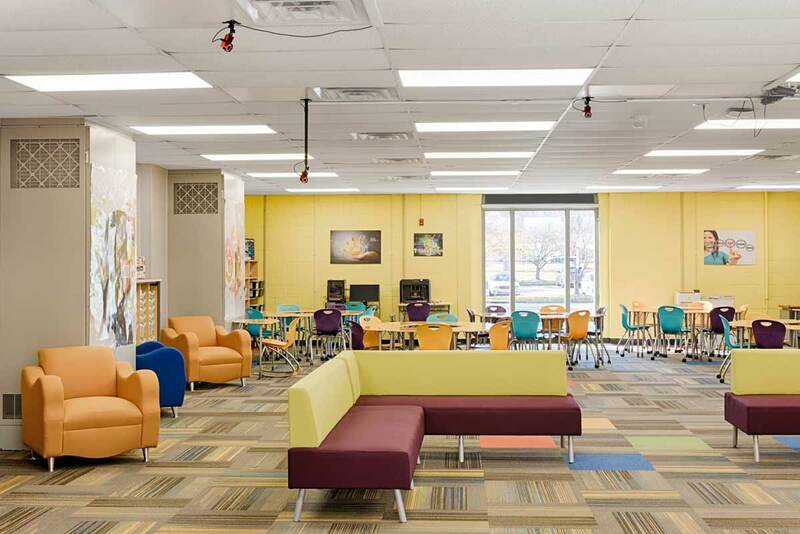 To make matters even more challenging, each space needed to be tailored to the needs of varying levels of education for Elementary and Middle school. The Virco PlanSCAPE team understood that these challenges needed to be faced head-on, making multiple trips to see the space and confer with the schools on their needs, wants and limitations. Ultimately, Virco’s in-person, hands-on approach confirmed to the schools that Virco products and services would best serve this unique project. 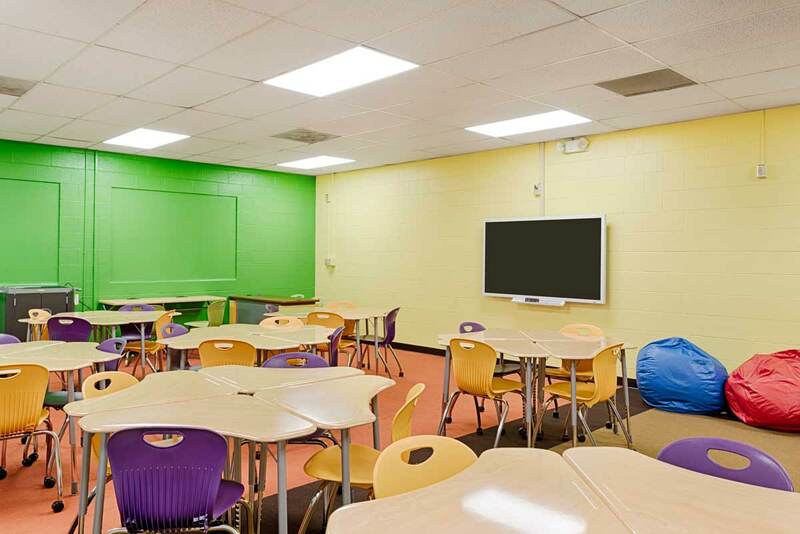 Virco’s free PlanSCAPE services, in conjunction with U.S. Communities partner pricing, helped the Newport News Public Schools find the right solutions within budget. The result was the creation of flexible and adaptable learning spaces that encourage both collaborative interaction and independent learning in STEM environments. Today, Newport News has some elementary and middle schools that feature unique environments for innovative STEM learning. 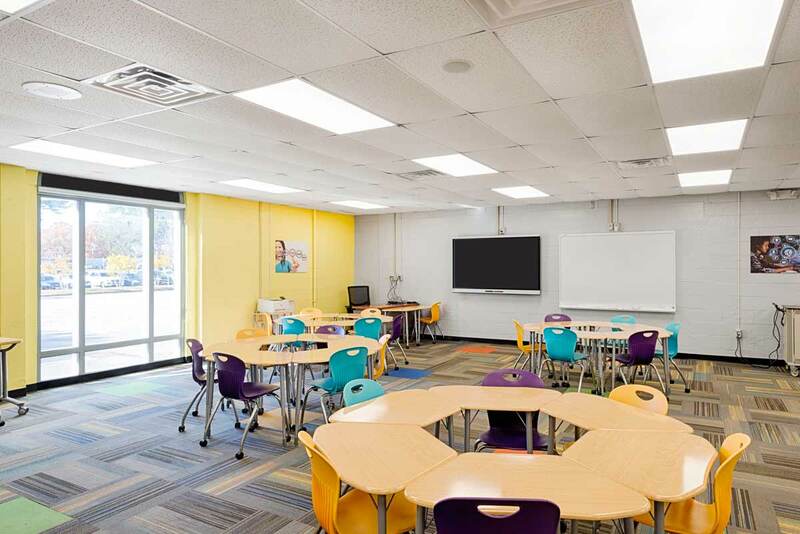 Elementary and Middle schools’ students study in ZUMA Rockers, which promote healthy movement for active minds; the ZUMA Series ZBOOM Desks allow for easy grouping in clusters of four for collaborative learning. 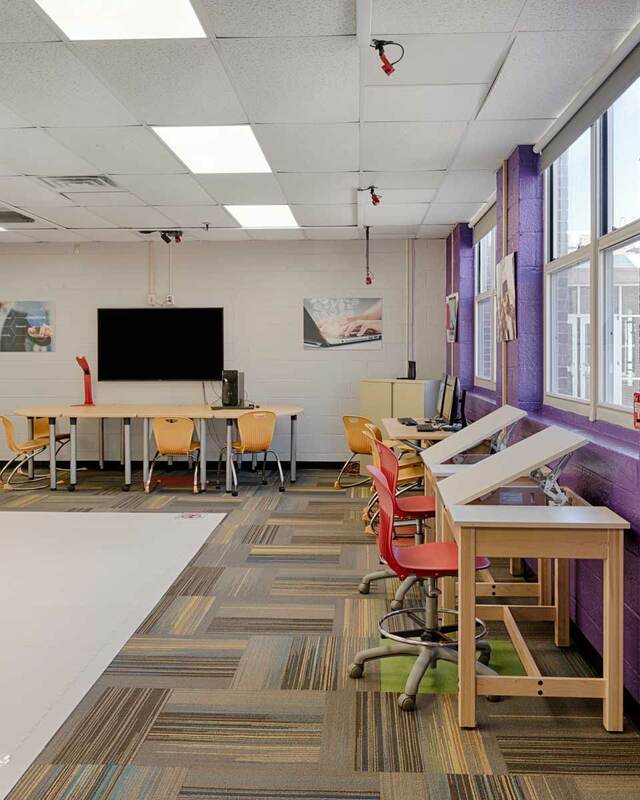 Middle School STEM labs feature Virco’s 5000 Series Slide and Nest Activity Tables, ZUMA Series Civitas Chairs, and TEXT Series Tables – all with casters – so spaces can be easily and quickly arranged and re-arranged at a moment’s notice. Virco PlanSCAPE professionals focused on flexibility and ease of movement for the Elementary space. ZUMA Series Civitas Chairs with Casters can be rolled anywhere around the room and the ZBOOM Desks and TEXT Series Tables can be nested together for collaborative learning. 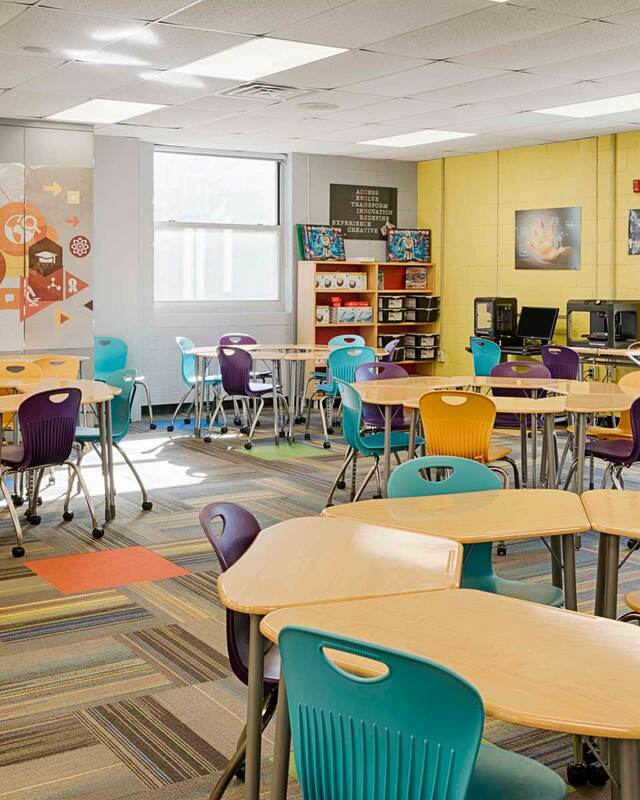 In the Middle school, ZHEX Desks can nest together to form six-foot hexagonal arrangements for collaborative learning environments or can be separated for independent learning. ZUMA Series Civitas Chairs with Casters allow for easy movement in flexible arrangements. 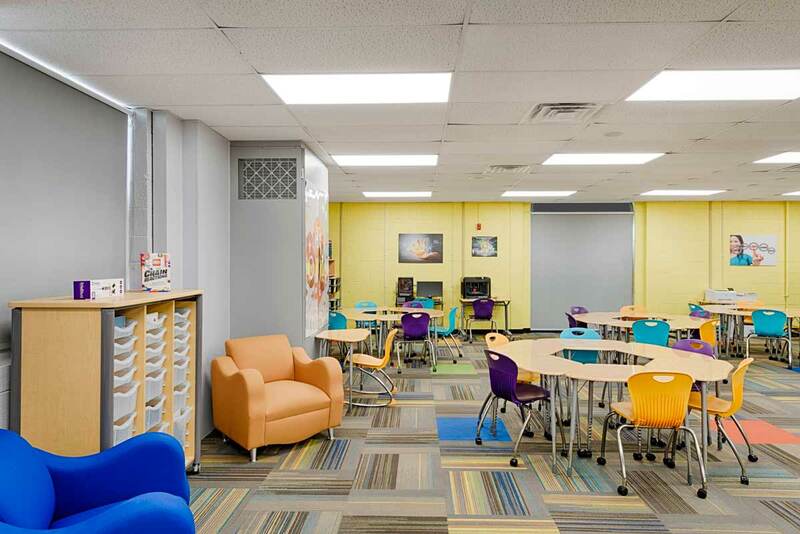 Additional PlanSCAPE products round out the learning spaces with drafting tables, lounge chairs, carpet and storage solutions. 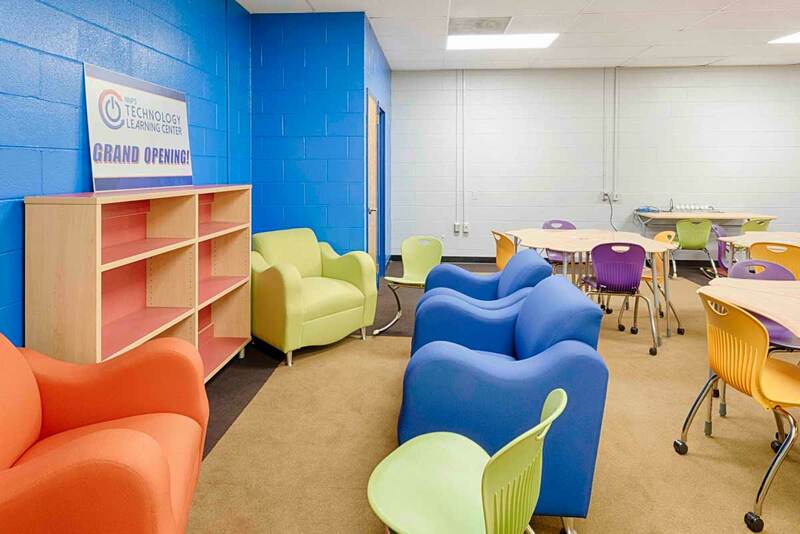 "As the Technology Coordinator for this project, I was very pleased with the furniture options and layout capabilities. The colorful chairs that rolled and rocked received the best response from students, teachers, and staff. 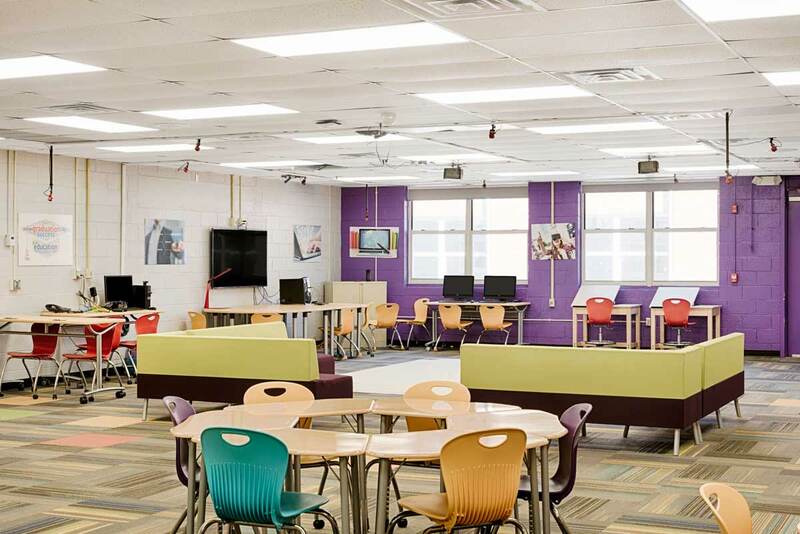 My project goals were to transform traditional classrooms into collaborative and active learning spaces as well as create a unique learning environment motivating students to learn. Those goals were definitely met and exceeded. Every member of the PlanSCAPE team I encountered was very courteous, friendly, and helpful. I have an amazing Virco Representative who has been the main point of contact throughout my experience. I made many phone calls and emails to our rep and she was always professional, prompt, and supportive. She made the purchasing experience easy and convenient by coming to me for meetings and always returning my phone calls/emails quickly. She made me feel like a valued customer. The PlanSCAPE team worked with my tight and sometimes changing deadlines. For example, the PlanSCAPE team ensured their team of installers were available to work around our grand opening event despite some scheduling challenges. It is my personal recommendation and opinion that both Virco and PlanSCAPE offer personalized attention, friendly customer service, and countless options to fit their needs. I would share this recommendation with my colleagues and other educational institutions."